Migraines are not just headaches. They are more severe and chronic accompanied by heavy symptoms such as nausea, light sensitivity, and dizziness. Eating healthy; adding magnesium to your diet and avoiding hot dogs and other bad eating habits may help control migraine symptoms. Treating migraine can be debilitating. But with nature’s gift, we can relieve the pain of a migraine and even headache by using home remedies like massaging, green tea, peppermint, diet changes among others to tackle these symptoms and relieve the pain and stress migraine comes with. According to the Migraine Research Foundation, migraine can run in families affecting both adults and children. This makes it very common of a condition and you’re not the first to be experiencing these symptoms or the nagging pain. Is Migraine the Same as Headache? A simple answer will be NO! The symptoms of a migraine vary from that of a headache and the best way to be sure is to see your doctor for proper diagnosis and medication. However, here are a few differences and symptoms to look out for so as to be sure if you’re having a headache or a migraine. Symptoms of a migraine worsen during physical activities. Symptoms do not worsen nor change during physical activities. Migraine is accompanied with additional symptoms like nausea, dizziness, seeing flashy lights etc. Headache does not come with any of these symptoms. The pain is mainly felt at one side of the head. Headache pains are felt throughout the forehead and/or scalp. Ginger is known to relieve symptoms like cough including migraine. According to a study, ginger powder decreased migraine as well as reducing its side effects. Stress is known to trigger migraine. Find effective stress management tips to help you control and reduce stress to avoid migraine. Neck and shoulder massage is helpful in reducing migraine. Studies say both shoulder and neck massage can help relieve tension, hence reduce migraine pain. Don’t forget a good massage helps blood circulation and reduces stress too. Resting is best for headaches and migraine. Have quality sleep to reduce the symptoms of migraine. Make sure you have all electrical appliances switched off. It doesn’t only keep you from being distracted but also leaves your room darkened which has been found to work better. Dehydration has been linked to migraine as well as headache. A study says, being dehydrated can trigger a severe headache and migraine which causes pain and discomfort. Make sure you drink enough water to stay hydrated and to avoid migraine. Have you heard about feverfew? A flowering herb that belongs to the daisy family. This plant has been used to treat migraine for centuries. Feverfew is not only good for migraines but for headaches and nausea as well. Ice is not only for injuries during sports. There are good for reducing headaches and migraine too. A study found that holding an ice pack at the base of your neck helps in reducing the pain of migraine drastically. Meditation has great benefits and we have been able to create a list of some of the breathtaking benefits of meditation here. People who practice meditation and controlled breathing daily have better regulation of stress hormone says an American study. This works because stress has been linked to migraine and headaches in many studies. Acupressure aims at keeping the pressure on some key points or parts of the body. this helps to release muscle tension and alleviate pain. It is good at reducing migraine symptoms like nausea. Green tea has anti-inflammatory property and other great benefits that can help in alleviating the symptoms of migraine. All you need is a cup of warm water and a teaspoon of green tea. Don’t forget to drink it warm. Are There Any Alternative Treatment or Natural Remedies? What Can Be Done to Prevent Migraine? Your turn. Have you experienced migraine and what natural remedies did you use in reducing the symptoms? 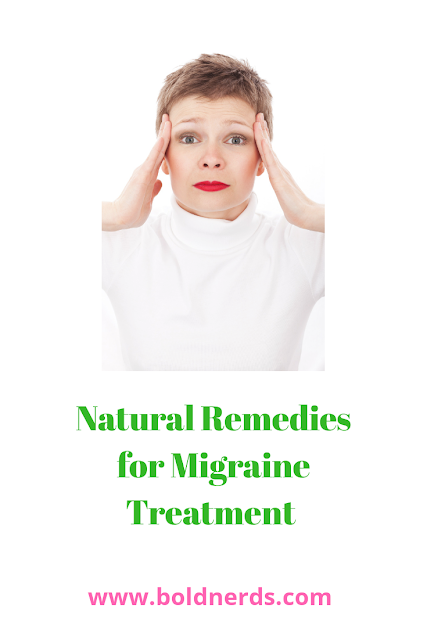 Do you like this article on Top 10 Natural Remedies for Migraine Treatment? Share it, help someone in need!